Thanks to its enviable geographical position, nestled as it is between the great lakes of the Northwest (Lake Maggiore and Lake Orta) and the majestic alpine mountains (Monte Rosa), the Mottarone offers a panoramic flight of rare beauty. The south-west exposure of the main take-off and the morphology of the mountain itself suggest to plan the take-off from the afternoon until sunset; on the contrary, it is precisely when the sun drops to the west and the thermal currents gradually lose strength that this site of flight gives the best of itself, allowing the pilot to rise above the summit and enjoy an incomparable landscape. A take-off with an east exposure is also available, one step away from the arrival station of the Stresa-Mottarone cable car, ideal for a beautiful morning flight over the Borromean Gulf. 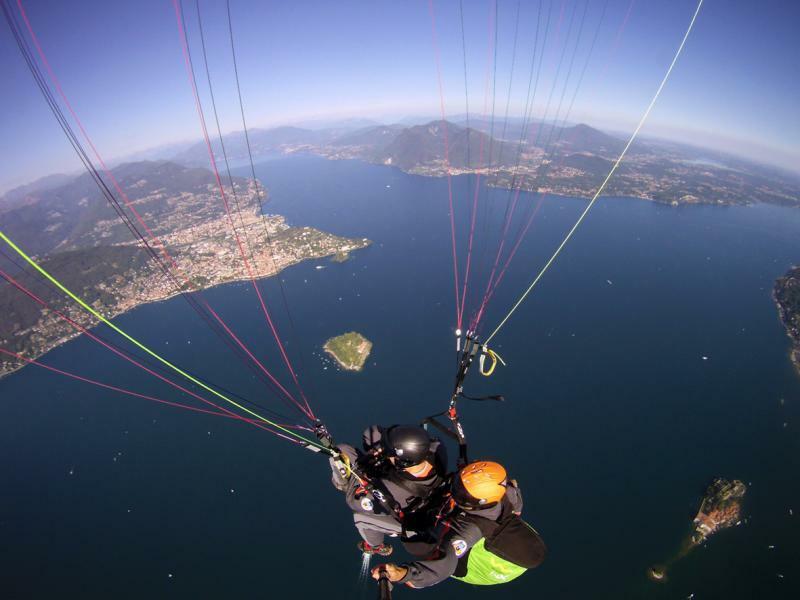 From North West Paragliding you can book fantastic flights in two-seater paragliding in Val Vigezzo, Mottarone, Quaggione, Lusentino or any other VCO flight site!